That's not necessarily a bad thing. Most of us here are on the left. It appears my views have changed... a lot. 2) Look at the below image, and find your place on it. 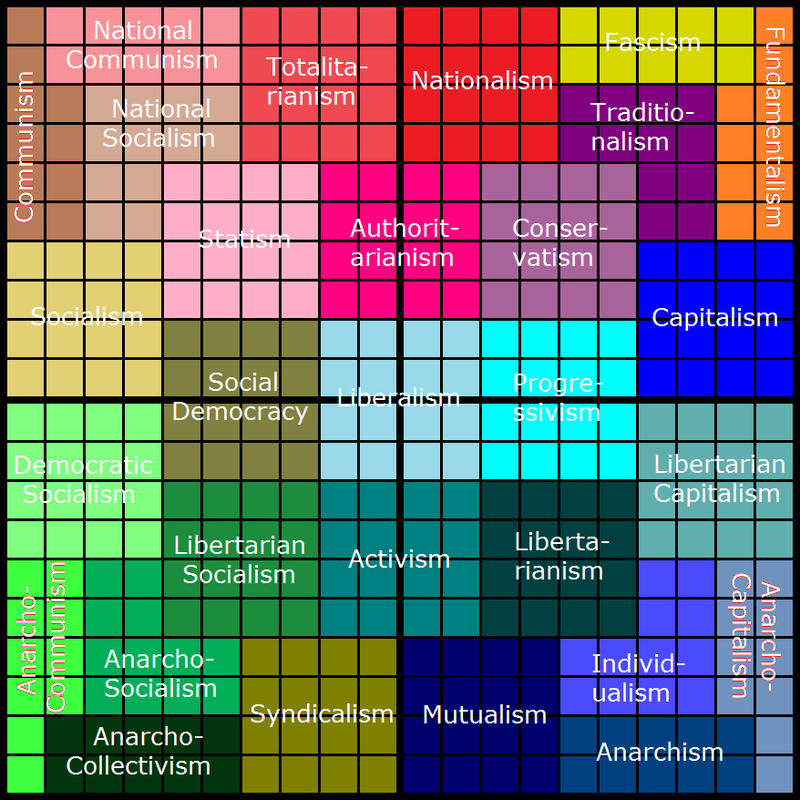 For instance, on my most recent test I fell 5 spaces from the left and 7 spaces from the bottom, putting me in the territory of "Libertarian Socialism", which is pretty accurate IMO. Necromancy at work. I've moved towards the centre since the first time. Could one say I've become more conservative?